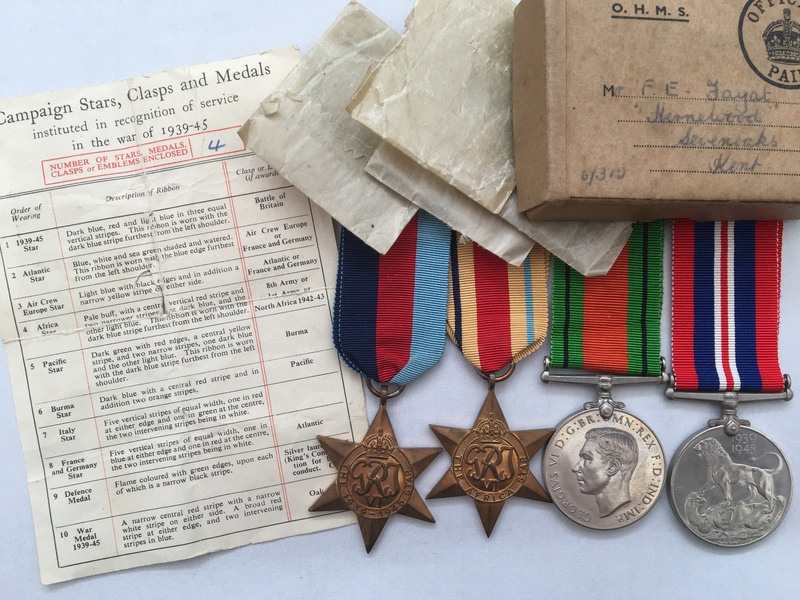 A WW/WW2 family medal group (presumably father and son) awarded to (WW1) 76, Private Edward R. Fayat who served with the Royal Army Medical Corps and (WW2) F. E. Fayat. According to Edward Fayat’s Medal Index Card, which can be viewed by clicking on here, (if you have access to Ancestry although a paper copy will be provided with this listing), Fayat entered France on 16th January 1915. I have not been able to locate any service records relating to this man so no other details are available regarding his service - although his MIC states he was discharged in April 1919. 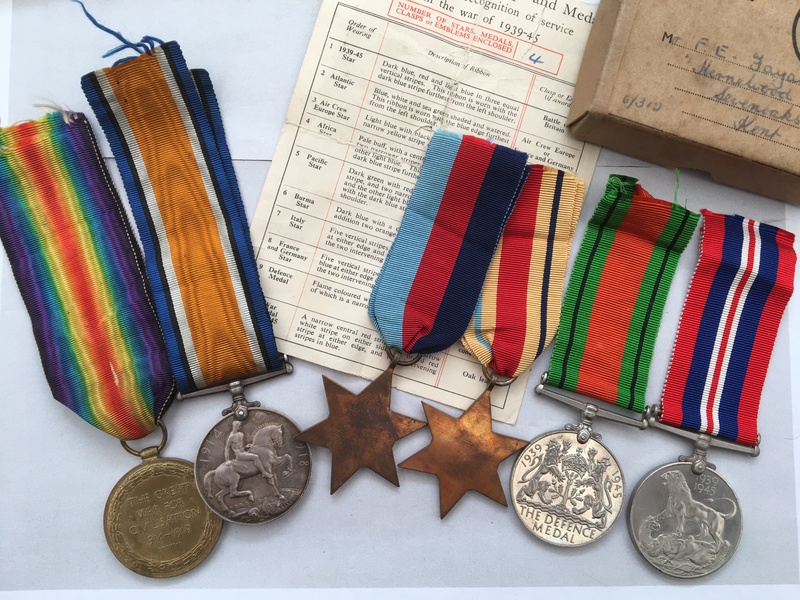 The medals relating to F. E. Fayat were delivered to him as an address in Sevenoaks, Kent and were posted to him from Cavalry and Royal Armoured Corps records office. British War Medal and Victory Medal awarded named to 76 PTE. E. R. FAYAT. R.A.M.C. 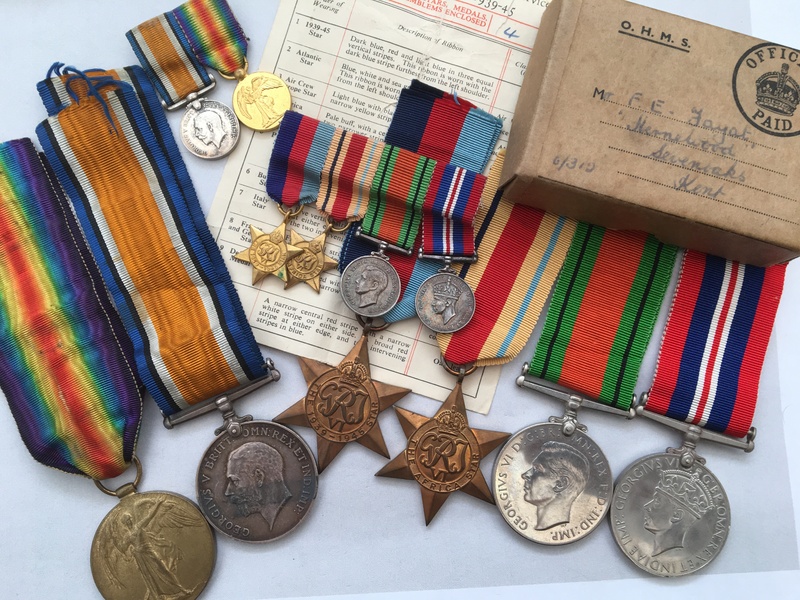 The WW1 medals are provided loose with a good length of original ribbons. 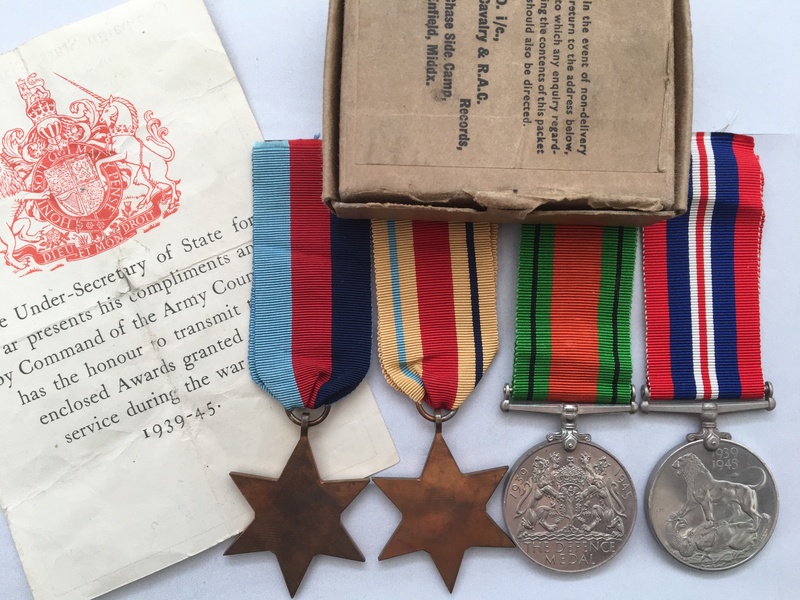 The WW2 medal are also provided loose in their original box of issue along with their original wax packets and ribbons with Army Council Medal Award Slip noting he correct number of awards. Additionally, each group has a matching set of contemporary miniature medals. Price £145 - please read the terms and conditions below.